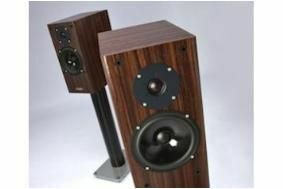 PMC puts its founder's signature on new anniversary models | What Hi-Fi? Claimed to be 'the best FBs and TBs made to date', the new speakers' crossovers have been reworked to give improved performance in the midband/vocal range, and the speakers' handcrafted cabinets are finished in an exclusive Palissandre Rose veneer. Both models use a 27mm Solonex soft-dome tweeter and 17cm PMC/SEAS mid/bass driver, along with the company's Advanced Transmission Line bass loading, the longer ATL in the floorstanding FB1i Signature giving it greater bass extension, down to 28Hz. The TB2i Signature speakers are £1375 a pair, and the FB1i Signatures £2500 a pair, and to emphasise the anniversary nature, both carry a ten-year warranty – double that of other PMC speakers. The new speakers will have their public launch at an open day at Unilet Sound & Vision in New Malden, Surrey, on September 18th.